Volunteer for the Health of It! BEAR LAKE MEMORIAL HOSPITAL ⁄ Health Basics ⁄ Volunteer for the Health of It! Donating time or resources benefits both the giver and the receiver. Studies have shown that giving releases similar chemicals to when you eat a great meal or falling in love. Other benefits include: Developing new skills and experiences (especially if you have been out of the workforce for a while), keeps the mind and body active and occupied warding off effects of age, and finally can make you feel wealthier and like you have more time. Reach out to organizations that interest you. It will be easier to relate to those involved and stay motivated in different projects if you genuinely care about the cause. Start out slow! It’s easy to burn out with too much involvement. Attend meetings or groups as an observer first. It’ll be easier to volunteer when you truly understand where the need is and how you can help. Service is simple. It can be challenging to get motivated but like many things it takes time and practice to develop. 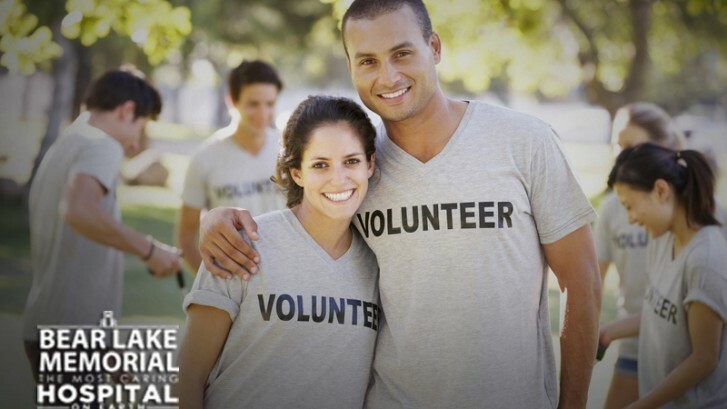 For opportunities and more information about volunteering locally contact Lott Crockett, Director of Volunteer Services for Bear Lake Memorial Hospital at 847-4445 or apply online at http://goo.gl/mQKxih. I am interested in finding out how to become an EMT in Bear Lake County. I live in Fish Haven. You will need to contact Chris Bruce at 208-220-8341 or Heather Jensen, secretary at 208-705-0561.